Domain registration is a vital part of any website development project. Domain is the location or the address by which users will access your website and you do need a good domain name if you are serious about having an effective online entity. It is the recognition mark of your company, and it is where you will direct all your potential customers to. A domain name; chosen with discretion and prudence can assist you in promoting your business as it leads to increased search engine traffic. It should be kept simple and as short as possible, the longer the domain name there would be more chances of getting errors and also it would be difficult to remember. On the other hand shorter names are easier to brand, easier to remember, are harder to misspell. Maya Techno Soft Technologies is a reliable entity when it comes to providing you with the domain names for your company. 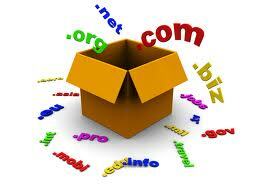 They believe that while doing the domain names simplicity is advantageous. Keeping Maya Techno Soft offers cheap web hosting and domain registration, cheap website hosting, cheap domain name and web hostingit simple ensures that you have more returning traffic to your site as more people would be able to remember your site's name. Any deviations in the same can lead to misrepresentation of the key objective of the site, which can do harm to your business.